Jason Turner is Sinn Féin's general candidate in the Kildare South constituency. 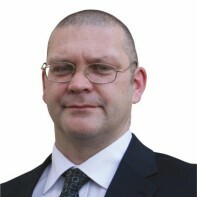 Though Turner has no formal political experience, he has been active in Residents' Associations and Neighbourhood Watch schemes in the Newbridge area. This is his first general election campaign. Turner is a sports enthusiast and, when not cheering on the Lillywhites of Kildare, can be found managing the Newbridge U-12 football team. One thing i will say,anybody who is running for a seat should be in it for the people not themselves.After seeing so many people suffering over the last couple of weeks while canvasesing would really make you think.If elected or not i will promise to help the people who are finding it very hard to survive. We the people of south kildare can work together, we can work on this together.Lets get the proud back in front of irish helping each other,supporting each other and listening.Thats the way it used to be when i was growing up time to take a step back and help. People might say i have little experience,maybe so.The last government had plenty of experience look at us now,that government was not for the people and still is not.You need to get elected to get experience.I know as well as everyone who reads this or who i have spoken to that the cuts that have been made targeted the less well off ,cuts were not made in porportiont to our incomes.Now i can tell you futher cuts are not far away health cuts why should one member of our country be treated differented than the other it shouldnt be wealth that determines this but it is .Education has been cut across the boards with all the wealth that was in this country we still have kids in prefabs ,teachers and special needs teachers which essential to our communities are being left go which is not acceptable,third level fees rising stopping our kids from futher education NOT GOOD ENOUGH.Even now people are people are having their homes reposesed after we were all told the roof will not be taken from over anybodies head pure lies i have seen it only last week.Pure lies where were these leaders who swore only last week this would not happen .WHERE WERE YOU .Small buisineses going to the wall all the time ,banks not loaning out money for these to survive even though we have been told the banks have been ordered to help these people .MORE LIES.Self employed people you can pay your taxes no prob but if your work goes do not come running to us for help in a hurry thats the message .We live in such a 2 tear society ST PATRICK would turn in his grave.IT IS TIME TO STAND UP BE COUNTED WE CAN ALL MAKE A DIFFERENCE BELIEVE ME WORK TOGETHER NOT JUST ONE VOICE BUT THE VOICE OF EVERYONE WE NEED REFORM QUICKLY .